Leading Big Data and Business Intelligence training and consulting company, ExistBI, has formed an alliance with the world leader in Enterprise Cloud Data Management, Amazon AWS. As partners, ExistBI can now offer their relevant Cloud expertise in systems integration, data migration, data warehousing, machine learning and big data analytics to those migrating to the AWS Platform throughout the United States, Canada, United Kingdom and Europe. “We are proud to have been invited to join the Amazon Partner Network. Working through the APN will enable the ExistBI team to unlock powerful business solutions for our customers and work closely with one of the most prominent Companies in our generation.’ Max T. Russ, Senior Services Director, ExistBI. The APN is a global partner program to provide support to businesses on their Cloud adoption journey. 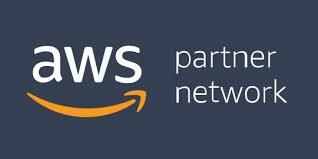 The AWS Partner Network provide software solutions to help with intergration and to host the AWS platform. Their consultants help with data migratation, design and management of workload on AWS. The AWS ANP only partners with companies with a wealth of experience and expertise in the field of Big Data therefore, businesses know that by comissioning an authorized partner they will be receiving a high quality service. This entry was posted in News & Insights on November 16, 2018 by Exist Business Intelligence.